Have a few moments when you are waiting for something to happen to glance at your phone and find out what you can do to improve Loudoun’s Future? Citizens in the group Transition Area Alliance have launched a free app, Save Loudoun, that helps citizens navigate through the county’s comprehensive plan update process, with the goal of helping citizens ensure that their voices are heard above all other interests. 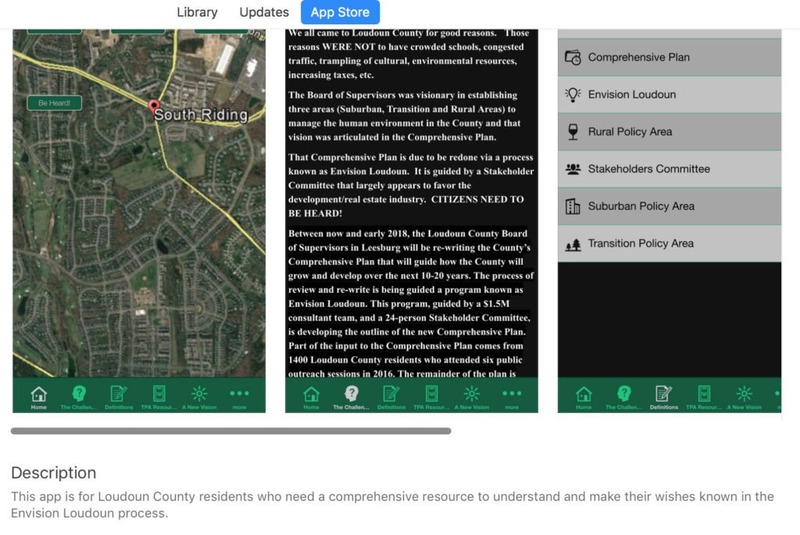 The app is simple, readable, and guides citizens through the process now underway–and describes what’s at stake, so that Loudoun residents can make informed choices about what they want their county to look like in the next 20 years.